A compound workout uses complex, or layered, moves to create powerful, effective exercises which can be adapted to suit you. In a nutshell, you will start with a basic movement (eg. a squat) and then layer in extra movements (eg. a calf raise and shoulder press) to increase the load on your body. By working-out in this way, you will increase your heart- & breathing-rate and add extra work to your muscles and bones, whilst decreasing the amount of time you need to exercise for. If you are time-poor, this style of workout is ideal for you! The other great advantage of a compound workout is that because there are layers added-on, you can easily adapt it by taking away (or replacing) anything which doesn’t feel right for you, without having to miss out on a whole exercise. The key to layering in movements is to find ones which flow together fairly easily so that the workout doesn’t feel awkward to do, but other than that, the only rule is to listen to your body and change anything that doesn’t feel right for you. And don’t feel that every exercise has to be a compound one – mix in a few simple exercises too for more variety. how can I get a flat tummy? 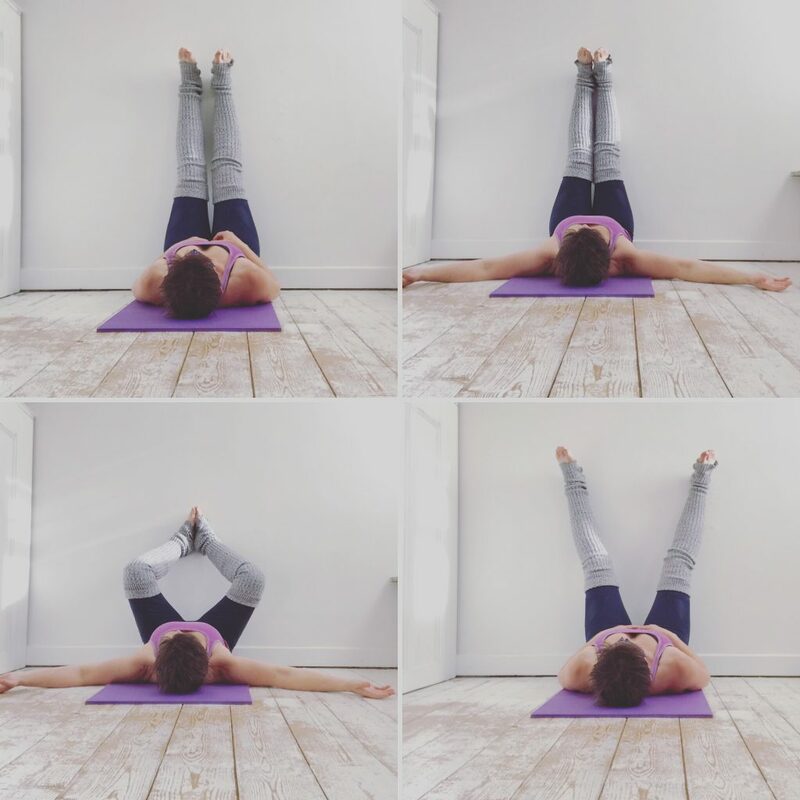 Possibly the most common question I get asked is along the lines of: ‘how can I get a flat tummy?’ or ‘what exercises will make my tummy smaller?’ so with that in mind I’ve recently been using some core-focused workouts with PT clients and in my HI-LI fitness circuit class, and I thought it might be something you would like to try out at home. I’ve filmed the exercises, to go with the notes below, or you can find a pdf version (which includes the video links) here. 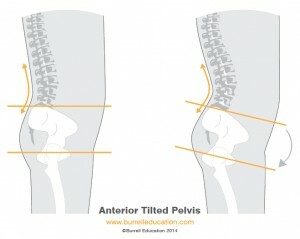 The tilt of your pelvis has probably the biggest influence on the look and feel of your belly. There are many factors which can contribute to an anterior tilt, and it is often not enough to simply create a conscious tilt in the opposite direction. Massage, stretching and the use of trigger point balls may be needed to address the imbalance, along with improved postural awareness and appropriate, well-executed abdominal exercises. It is well-documented that stress hormones can cause your body to store belly fat and it therefore stands to reason that managing your long-term stress levels can make a positive difference. Activities such as leisure walking, sleeping, going off-line, spending time with people we love and restorative exercise (eg Pilates, yoga, stretching, meditation) can all play a pivotal role in our total well-being & they are definitely something to consider if you think that stress might be contributing to your unwanted tummy. For more on this subject read here. It goes without saying that what you are eating will play a part! If you are feeding your body with poor or inappropriate nutrition, or you have uncontrolled dietary issues that causing bloating & distension of the tummy wall, no amount of exercise is going to be the solution. Be honest with yourself about your eating habits and seek professional help from your GP or a nutritionist if you have concerns in this area. Of course there may be other issues to consider so please seek appropriate advice if you think it is what you need. Once you have ruled out and addressed any issues, here are some exercise suggestions that may be helpful in strengthening your core muscles. As usual, start with a few minutes of simple mobilisations and warm-up movements before you begin the exercises; if you are adding these exercises on at the end of a general workout, you will already be warm to start with. NB not all the exercises I have included are going to be right for every body. Pick up the exercises at the level that is right for you at the moment – harder is only better if your body can support the extra load; easier is often the best place to start. I will show various options and use different equipment – please decide what is best for you (ie best for you = the one you can do without compromising the integrity of your tummy wall). Rest when you no longer feel that the exercise is working the right area of your body (eg. if your legs feel like they are doing all the work or your neck muscles are feeling tense). And don’t do anything that doesn’t feel right for you. 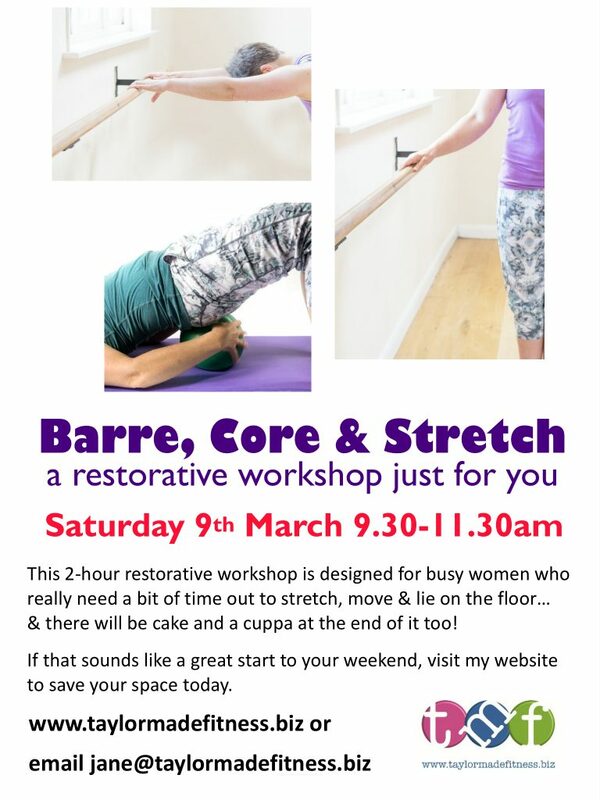 I am hosting a 2-hour barre, core & stretch workshop on Saturday 9th March, designed for busy women who really need to take a bit of time out to stretch, move and lie on the floor! 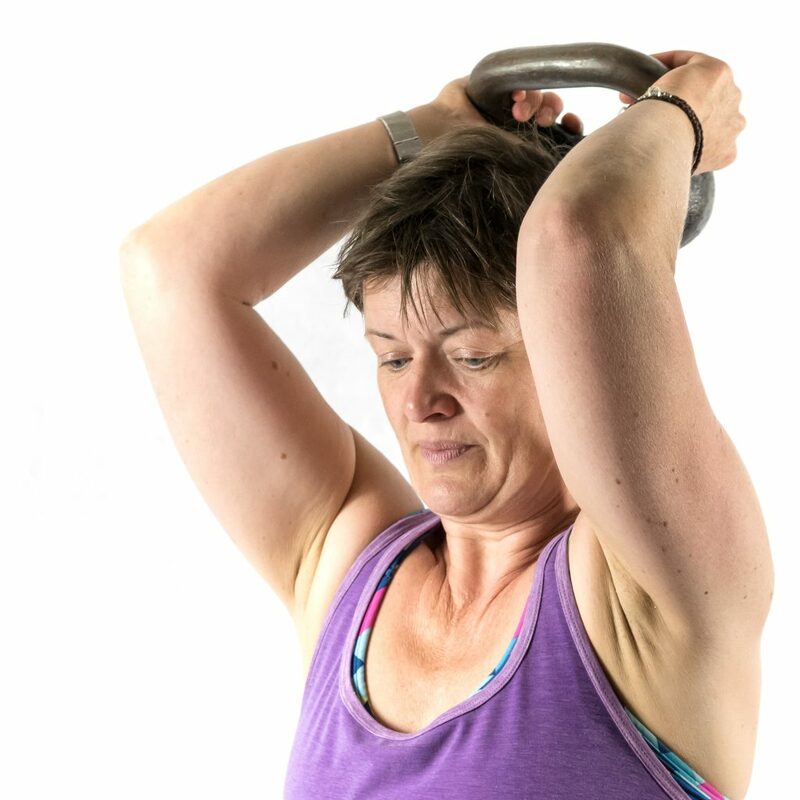 This session is suitable for any woman, regardless of fitness level, shape or age. If you feel like you spend most of your time looking after the rest of the world, this session is perfect for you. Book your space today and join us for a gentle, restorative start to your weekend, followed by cake! value: a Saturday morning just for you…? priceless! I’m pretty sure I’ve written about this before but now that I actually have a wall I can use for this pose I thought I’d do it again with some photos (and a video) to show you how good it feels! There is something so gently restorative about giving your weight to the floor, closing your eyes and tuning-in to your breath. It was exactly what I needed in that moment. So why is it good for us to lie with legs up the wall? you will need a mat underneath you and maybe a blanket on top of the mat too; you might feel more comfortable with a folded blanket or towel under your hips and maybe another under the back of your head; if you want to get super-cosy, have a blanket to cover yourself with too! Adding an up-chain to your workout is a super-simple way to boost the effectiveness of your training. Even better, up-chains can be used in whatever way suits your training goals, the equipment available to you and the time you want to spend training. An up-chain circuit is a great way of increasing your strength and fitness because as you progress through your reps, each exercise will get more challenging, and then once you have done the highest number of reps in your chain, you go back to the start and it gets more manageable again. Working in this way means that you cycle through varying levels of intensity and this make the workout more achievable but also more challenging overall. 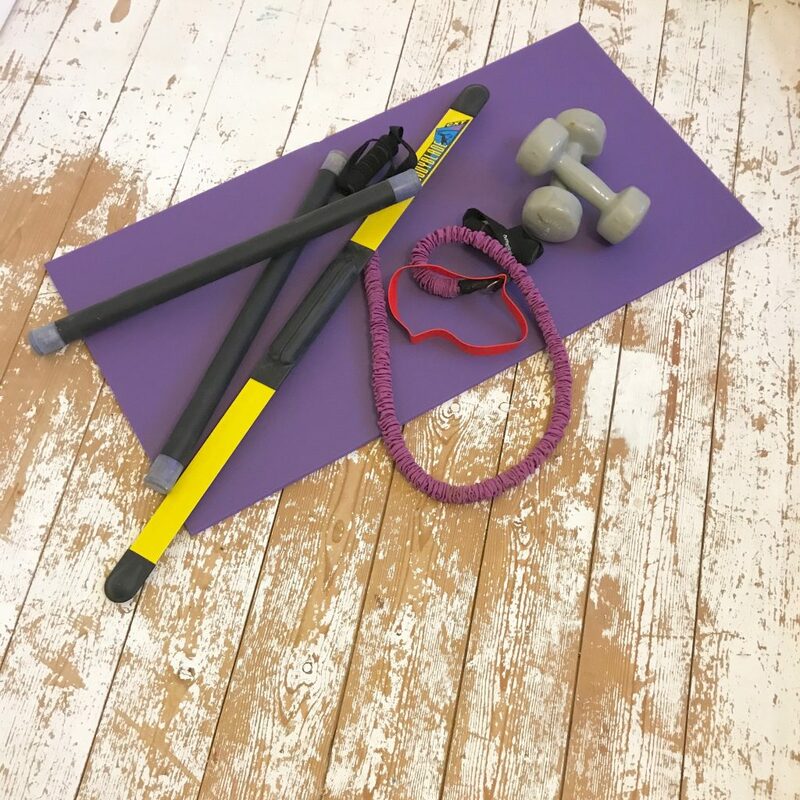 I hope you have some fun creating your own up-chain workouts – this one is based on my HI-LI fitness circuit class last week but there is no end to the variations you can make so please feel free to change it as much as you need.